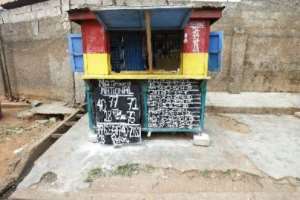 The National Lottery Authority (NLA) has cautioned Ghanaians against the activities and operations of lotto fraudsters and illegal Lotto Operators who are using illegal means to defraud innocent people. In a statement issued by the Head of Public Relations of NLA and copied to the media indicated that "Some of these lotto fraudsters and social media miscreants have set up Facebook, WhatsApp and other social media pages using pictures and names of the Director-General and Staff of NLA to defraud people". The statement added that "These fraudsters use clever tactics to convince the staking public to make Mobile Money Transfers to them in exchange for Winning Lotto Numbers". The statement noted that "These fraudsters and social media miscreants are using Radio, Television, Online, Newspapers, Social Media Platforms mostly Facebook, WhatsApp, Twitter, Instagram, Snapchat, etc. and other Communication Platforms such as Phone calls, Text Messages, and Email to defraud unsuspecting people". The statement cautioned that "NLA has NOT authorized nor appointed any individual or group of individuals to offer Winning Lotto Numbers to the Public since lotto is a game of chance and it is impossible to foretell winning numbers". The statement added that "NLA and its Staff have no knowledge and control over the outcome of Draws. Draws are conducted in a very open and transparent manner, and open to the general public. Every Ghanaian is free and welcome to witness and partake in the Draw at 6:30pm daily except Sundays and public holidays". "However, the Authority in collaboration with the relevant Security Agencies are taking pragmatic steps to help curtail the activities of the lotto fraudsters, social media miscreants and illegal lotto operators and agents", the statement assured. The statement therefore, appealed to the general public to be vigilant and discontinue engaging the services of these Lotto Fraudsters and the Social Media Miscreants. 1. NLA has NOT authorized nor appointed any individual or group of individuals to offer Winning Lotto Numbers to the Public since lotto is a game of chance and it is impossible to foretell winning numbers. 8. There is no way Winning Lotto Numbers can be leaked before a Draw is conducted by the Authority since no one has access, knowledge, and information about the Winning Lotto Numbers before a Draw is conducted by the Authority.